For today’s Wedding Wednesday post, Rebecca from Tastefully Entertaining and I selected a stunning crimson invitation adorned with a golden metallic script from Checkerboard. 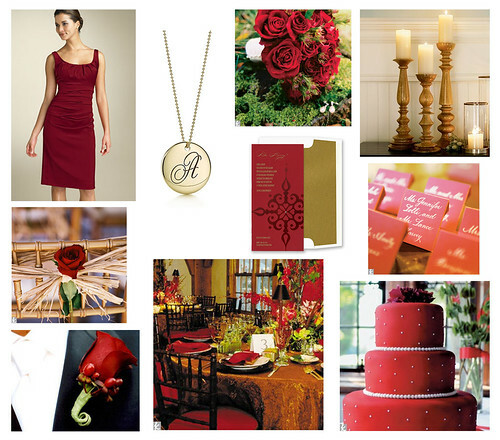 I love this rich color combination for late fall and winter weddings as the warmth of deep crimson and glimmering gold is such a bold contrast to the cooling temperatures outdoors. 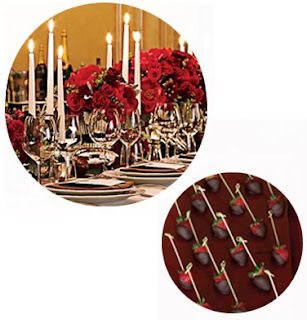 Golden Initial Pendant for bride or bridesmaid offered by Tiffany & Co.
Be sure to visit Tastefully Entertaining to admire Rebecca’s lovely inspiration board including these crave-worthy strawberries and a beautiful candlelit table setting.